The use of nonviolent action is on the rise. From the Occupy Movement to the Arab Spring and mass protests on the streets of Brazil, activists across the world are increasingly using unarmed tactics to challenge oppressive, corrupt and unjust systems. But what exactly do we mean by nonviolence? How is it deployed and to what effect? Do nonviolent campaigns with political motivations differ from those driven by primarily economic concerns? What are the limits and opportunities for activists engaging in nonviolent action today? Is the growing number of nonviolence protests indicative of a new type of twenty-first century struggle or is it simply a passing trend? Understanding Nonviolence: Contours and Contexts is the first book to offer a comprehensive introduction to nonviolence in theory and practice. Combining insightful analysis of key theoretical debates with fresh perspectives on contemporary and historical case studies, it explores the varied approaches, aims, and trajectories of nonviolent campaigns from Gandhi to the present day. With cutting-edge contributions from leading scholars and practitioners in the field, this accessible and lively book will be essential reading for activists, students and teachers of contentious politics, international security, and peace and conflict studies. "From undermining racist lunch counter segregation in Nashville to supporting the worldwide food sovereignty movements, this book demonstrates that nonviolent action continues to play a vital role in creating social justice and real change." 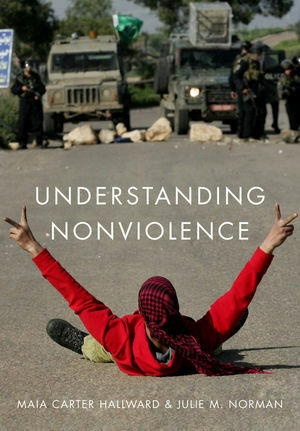 This thorough and well-written book ably combines theory with a wide range of case studies to provide an excellent introduction to the growing field of nonviolence. "Rarely does one find an edited volume so comprehensive and expert in its treatment of such a timely subject. Hallward and Norman have assembled an impressive cohort of contributors who have written an excellent set of chapters. The end result is essential reading for any student or scholar seriously interested in civil resistance and nonviolence." "It is a comprehensive book that will be immediately effective as a core text in courses on nonviolence. It finds the balance between readable and challenging, thought-provoking and accessible."